Building credit for a limited liability company, or LLC, is a little different from how individuals build their own personal credit profiles. First, four different credit reporting agencies deal with businesses. These include Dun & Bradstreet, Experian Business, Equifax Business and Business Credit USA. Second, reporting to these credit agencies is voluntary, so even if your business is conducting transactions on credit, they may not be reported. Another difference is the scoring system. Businesses earn credit scores in the range of 0 to 100 with 75 and over being considered excellent. In order to start building credit for your LLC, you'll need to apply for lines of credit under the LLC's EIN, or employer identification number, and not your own SSN, or Social Security number, and also make sure the credit issuer reports to the credit reporting agencies. Go to the bank where your business accounts were opened and ask if they will issue you a credit card solely under the name of your LLC. Many banks are reluctant to do so with a new business, but if you have a strong banking history with them they may decide to go along with issuing you a card. Apply for store credit. Stores such as Home Depot, Lowe's, Staples, Office Max and Office Depot specialize in offering credit to businesses. Make sure when you fill out the applications you use your company's EIN and not your SSN. Lease or finance equipment for your business instead of purchasing it upfront. Lenders are more apt to extend credit to a new business if they have something tangible as collateral. When you lease or finance the equipment instead of buying it, if you fail to make a payment, they have the right to come and repossess it. This minimizes their risk. Apply for an Small Business Administration, or SBA, loan from your bank. SBA loans are backed by the U.S. government and are given to businesses that wouldn't otherwise qualify for the more traditional business loans. SBA loans are meant to help out small businesses by giving them low down payments and flexible repayment terms. 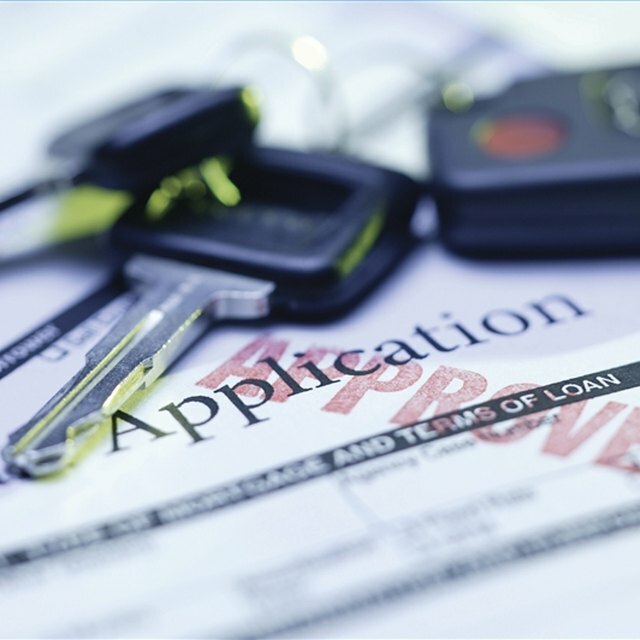 Apply for secured loans when your business needs to purchase larger assets. For example, if your company specializes in delivery and needs additional trucks, apply for financing with the trucks as collateral. The same can be done with real estate, large machinery and anything else with long-term value. Again, make sure when you apply for the loan, it's going under your business EIN and not under your SSN. Pay all your bills on time. Over time, your business will accumulate more credit and, as you continue paying on these lines, you'll build a stronger credit score. Even if you're unable to have any credit extended to you in the beginning, be persistent and over time you'll get where you need to be.